LoyLap works with the world's leading companies to offer our mutual clients joint solutions to enhance the way they pay. We believe that collaboration between companies is in the best interest of our customers, and these collaborations will lead to the seamless communication of integrated services to enable our clients get on with what they do best. AIB Merchant Services are Irelands leading Debit Card Acquirer, processing millions of transactions every day. Since 2014, LoyLap have been working with AIBMS to provide payment services to hundreds of clients in Ireland and the UK. Of all our joint work, the Cashless Payments systems in operation for 10s of thousands of people at the Central Bank of Ireland, Bannatyne Gyms & AIB would be our most significant and impressive joint venture. LoyLap is proud to work in conjunction with First Data, specifically with regard to our integration with their industry leading POS; Clover. First Data are the world’s largest provider of Merchant Services, and LoyLap is delighted to be able enhance the Clover offering with our value add applications such as Gift, Loyalty, Ordering & Self Service. 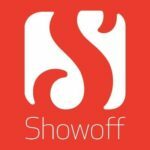 Show Off are one of Irelands leading app development companies, and Loylap are thrilled to be able work with Show Off when our clients require a white label application powered by LoyLap’s payment technology. Show Off and LoyLap can take a clients vision and turn in into a reality that will delight our customers. Admit One is the industry leading ePOS for the Cinema Admission; among other core strengths. LoyLap’s Gift Card integration with Admit One enables our joint customers offer and redeem both physical & digital Gift Cards to significantly enhance the functionality of the overall estate.